Submitted by mudoor on Mon, 01/19/2009 - 09:11. 1, Often with a soft cloth to clean window, kept clean and prevent the erosion of corrosive substances. 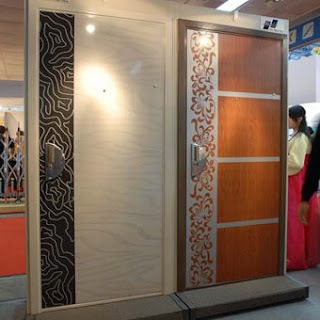 2, Regularly door hinge, locks oblique tongue, such as mechanical latch lock switch (Chuan) lubricating moving parts add a little fat, and maintain lubrication, so that doors and locks sluicegate flexible. 3,Lock heart is prohibited to insert into the various oils or sundries. 4, Doorbell and alarm batteries should be changed regularly to avoid too small or do not ring tones. Doorbell or alarm more than half a year when not in use, the battery should be removed.